Alfa Romeo Premium Care is designed to keep your vehicle perfectly maintained and stunningly beautiful during your entire lease experience. This plan offers the use of authentic Alfa Romeo parts and services performed by our certified expert technicians to maintain your vehicle’s top performance levels. Plus, enjoy the benefits of unlimited Paintless Dent Repair for unwanted dings and dents. Receive protection against windshield glass chips and cracks, damage to seats, carpeting and floor mats. Alfa Romeo Premium Care covers costs for tire and rim damage due to road hazard conditions and key fob repair or replacement. Coverage is available for purchase for up to 4 years/40,000 miles. Driving a legend has never felt so good. 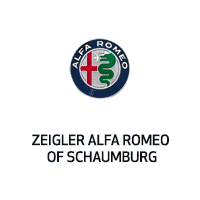 We are passionate about providing the best care possible for your Alfa Romeo vehicle. Coverage is available for purchase for up to 4 years/40,000 miles. Drive with confidence knowing you are covered with the protection and care designed specifically for your vehicle.